Help Spinal Column Radio Win $5000!!!! 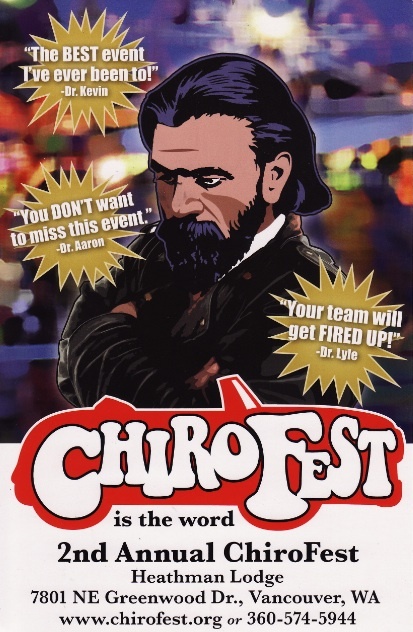 The chiropractic profession has created a contest for us chiropractors! …And yours truly has decided to throw his hat in the ring. The challenge: to create a video, 5 minutes in length, that explains the true essence of chiropracTIC to the public. The winner gets a check for $5000. Videos are ranked by number of views, voting scores, number of comments, and number of reshares. In other words, how much engagement it produces on the Internet. 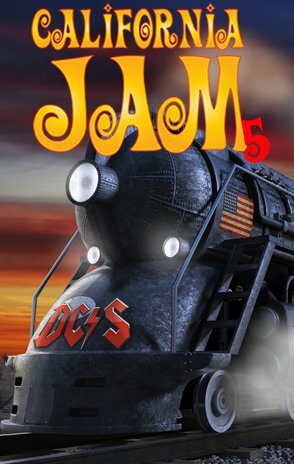 The top 5 videos will go before a panel of judges after the December 10, 2011 deadline, and the winner will be announced. So… I need you to watch my video! Vote on it. Comment on it. And Share it with others through email and social media. We only have until December 10, 2011. And if we do win… all winnings will be put right back into Spinal Column Radio. P.S. It’s real important that you ENGAGE with it: VOTE for it, SHARE it, and COMMENT on it! Seriously… while the competition might be fierce and you seem to have a pretty commanding ranking… the main thing is that the message is getting out there. AWESOME JOB!!! RIGHT TO THE POINT! Thomas, love the expose on the bodies design! I appreciate you getting the message out. This is a message people need to hear. Thank you to all of our listeners for rallying behind us in the Talk the Tic Contest!…. what an adventure that was… and Thanks to All of You…. 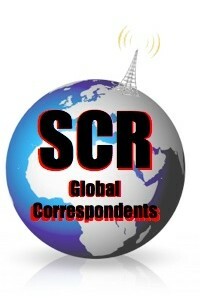 not only did our message reach new ears around the globe… but we are advancing to the Finals! (,..and in the number 2 position, no less). Our video, along with the others in the Top 5, will go before a panel of 10 well-known chiropracTORS… and they, utilizing their undisclosed criteria, will choose the Grand Prize Winner! • We held the #1 spot for a run of 8 straight days at one point and 2 other days a week prior to that. … speaking of comments, they we’re great! Talk about a way to brighten up the gloomiest of days! I love them so much, that I want to archive them right here (even the ones that might have been slightly on the negative side… because they keep me humble). Here they are… newest to oldest. Before I list them…. the winner will be announced on http://Contest.TalkTheTic.com on Thursday 12/15/11 via video. Awesome! This is an amazing message!!!!!!!!!!! We love Dr. Lamar and all the assisting to our family’s health! Ausome videio. Really expains Chiropractic’s life values! The Hudsons. Ok Dr. Tommy, I am going FB…..
Keep the pressure on! Spinal Column Radio is GREAT!! Sharing this on Facebook…go team go!! Dr Tom helps keep me well adjusted! Great video Dr. Lamar!! Thank you for the information, the public needs to know! Life is simple, and so is chiropractic! 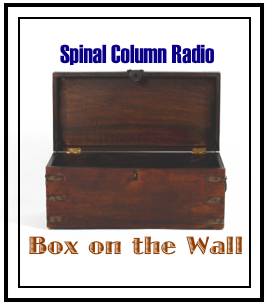 Go Spinal Column Radio! SCR is an awesome outlet for chiropractic students like myself…. Keep teaching the Tic. 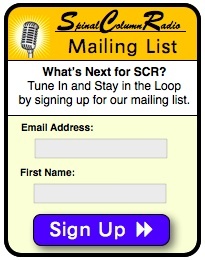 Spinal Column radio is my classroom! Dr. L is a chiropractic anima! Keep on rockin! Lamar rocks. He’s my chiro. See you Monday, doc! Wow! Excellent points all . . . but a bit of a surprise since I am so much more used to the patient educator than the passionate orator in Dr. Lamar. Maybe both are needed to get people to pay attention. Keep talking the talk so everyone can keep walking their walk! I learned a lot from you. Thanks. Thanks Dr. Lamar – Great job! You have helped me be pain free! You are great! My daughter says you look happy. I said you always look happy!! Go Dr. Tom! We love you! Life is better with Dr. Lamar! You tell it well! Rock and Roll. Very enlightening and great enthusiasm! Great video and great adjustment. Already feel better. Pretty good. I like your energy. Very good delivery. It just got a little overloaded, too many ideas, to little time. I hope this message spreads like fire! What a blessing chiropractic is! dedicated and clear, keep up the good work Dr. Tom. WOW!! Thank you for what you do!!!!! that was awesome! My partner goes to Dr. Lamar and I think he has a new client in me! You are so inspirational and truely dedicated to your profession. Thanks for all you do for so many of us! Dr. Tom is the obvious choice for the voice of chiropractic! you are so awesome Dr. Tommy! Thanks for being there for my family. Love all your thoughts on your business!! It truly is a remarkable one! Great food for thought! Time to make an appointment! Thanks for keeping us “in line” Dr Lamar! Fabulous message, Dr. Lamar–I love your enthusiam! Hey, fantastic message. Loved it! Spinal Column Radio! Woop, Woop! 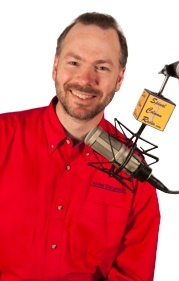 Everyone needs a podcast Chiropractor, and this guy is awesome! This is a revolutionary message! Your passion for your profession comes over great on your video, Dr Lamar! Great!! Great video and informative, too!! Great message, I hope that this can enlighten more people to be open to alternative health care! Awesome Video. I like the balls of life analogy! Tic, Tic, Tic! FantasTic ChiropracTic! Very well said my friend! Love the electrical box analogy. Energy and enthusiasm ..I feel better already! Thanks! Very interesting and thought provoking! I’ll be getting my circuits checked tomorrow, and I can’t wait! There is nothing more reviving and positively impacting than I weekly adjustment! Tell the world Dr. Lamar! What a gift to give to the public through your own hands! I can not wait to deliver my first adjustment as a DC and be an instrument of healing to the world! Thanks for this! it was very interesting! Thomas, natural is the way to go… It is truly empowering. I really love Chiropractor Radio. Who would of thought? Dr Lamar has such passion for his work! Can you handle the balls of life? This is what makes things tic! Listened to this several times and the more I listen, the more I enjoy the words, phrases, and analogies you use to clearly explain the truths of chiropractic. Great job! will keep submitting votes! Would love to see you guys win this thing! Ahh! Noo! Not #3!! Vote vote vote!! omg!! Dr Tommy, you are the best!!!!!!!!!!!!!!!! Turn on the Power Dr Tom! A very well thought out presentation, with high energy, and enthusiasm. That is sooooo energetic !!!! HE does wonders on carpel tunnel wrists “stopped me from having a 2nd surgery” !!!! Chiropractic is one of the few professions that acknowledges a higher power. Thanks for you message Dr Tom! Very cool! When I was at college in Oregon I had a knee malfunction and I had to go through took 3 chiropractors here to find someone who was able to do what Dr. Lamar can do in 3 seconds! Thank you for your message. I will never think of Chiropractic procedures the same. And I thought a chiropractor just cracked the back!! This was a very informative presentation!! DR. Lamar is the best, he has helped all of my family with many ailments! This is a noble cause! We love your message! You Rock! Open the lines of communication from your brain! Thanks for taking such great care of my family! Your the best Dr. Lamar! Thank you for helping my body work correctly! I believe you got something there! Thank you for being the best chiropractor ever! Your passion is why you are my DR!!! Loved the video.. Many people may have a chance to, “Get it”, with a message like that! If only every doctor held this beautiful philosophy, the world would be changed! Thank you Dr. Lamar! You are the best! The best type of medicine is the kind you get from a practioner that not only teaches his/her patients…but one that is also passionate about his calling! This is by far the best video and it reminds me that there is always more than meets the eye…! It was clear, concise in topic, and I enjoyed listening to it! Great description, am sharing now! Wow! Well done, Dr. Lamar! Great explanation of the very basis of your Life- Giving philosophy. This is WHY we put our healthcare in your hands. Dr. Tom is a great chiropractor……. Chiropractic does work and Dr. Lamar does it best! May the force be with you Dr Tom! very cool to see you doing your own podcasting!! you are right, not many of you communicate too well what it is you do. 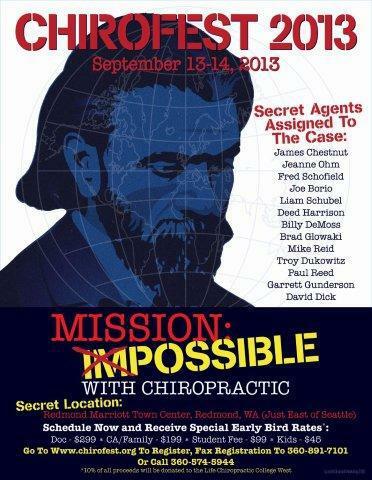 This is what people don’t know about chiropractic! N8 education! Fantastic! Open the flow to your life energy! Go Dr Tom. Good Listening! Let your voice be heard! Dr Tom, I feel the energy! Wow are you ever enthusiasic. Way to go Dr. L.
This is great Dr. Lamar! People can understand this and it is so different from what the public hears. Very enlightening. So simple, so beautiful! If we only knew the true depth of innate! Wow, thanks for the amazing message! It’s awesome listening to someone speak so passionately about something amazing. Go Dr. Tom! I like learning new things about something I really appreciate and benefit from. One more time, with a little more passion! I have so much energy flowing now, I hope I’m able to go to sleep. All hail the founder of Blue Folder Chiropractic! Dr. Tom! Dr. Tom! Dr. Tom! Dr. Tom ROCKS! He’s the “sliced bread” of the profession (not that sliced bread is a good thing – but I think you get the point)! You are sooooo right on! Very cool video. You clarify why I want to be a Chiropractor!!!! That’s AWESOME Dr Lamar! This is exactly what the public does not hear about chiropracTIC. You put it in a language every one can understand! Love it! Dr Tom, I love your passion. I can feel the energy! Very enlightening! Thanks for sharing this! Dr. Tom’s genuine passion for chiropractic certainly comes through in his video! He does an amazing job giving us the necessary information to make wise health decisions! I will return that ball with true health! Thanks for your sharing!! Love what you do with the podcast. I will watch and vote every day to help you win and continue the good work! Illuminating! and concise! This ddded new dimensions to my understanding of chiropractics. Wonderful radio voice and info. I will certainly pass it on! Great job Dr. Tom and Logan. This is good to know. I want my friends to see this/hear this!!! This is great advice. Thank you for the lesson on chiropractic! great explanations! fun to have the radio atmosphere. Great job Logan and Dr Tom! Dr. Thomas Lamar is an excellent Chiropractor!